Hi, People! 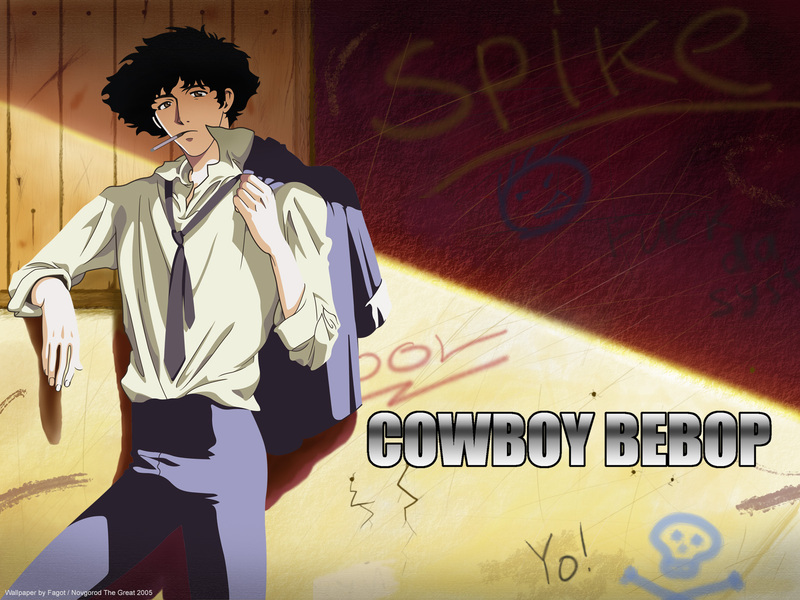 This wall by one of my favorite anime Cowboy Bebop. P.S. Sorry for poor description. I very bad know english. Browse Cowboy Bebop Gallery: Recent | Popular. Cool, I like it. Nice work on the shadow, the texture change is kinda rough but still cool. When you did the "Spike" tag, you could have made a colour selection on the wall before "spraying", that would make it look weathered and faded. And yes, maybe that line cut off, but this is not so distinctly. Very nice scan of Spike! Thanks!